Item # 316098 Stash Points: 1,999 (?) This is the number of points you get in The Zumiez Stash for purchasing this item. Stash points are redeemable for exclusive rewards only available to Zumiez Stash members. To redeem your points check out the rewards catalog on thestash.zumiez.com. Your luck is about to turn when you wear the No Luck Bad Trip White T-Shirt from A-Lab. 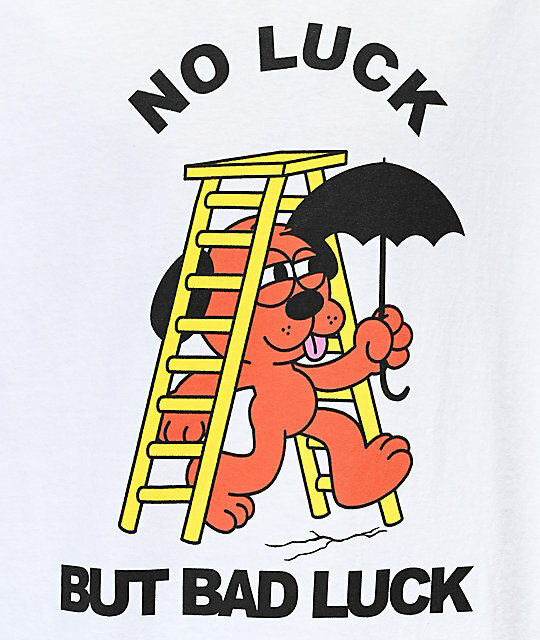 This white cotton tee features a lighthearted graphic of a dog, walking under a ladder, stepping over a crack, while holding an umbrella. The graphic is accompanied by text that reads "No luck but bad luck", making a fun and relaxed design from A-Lab. 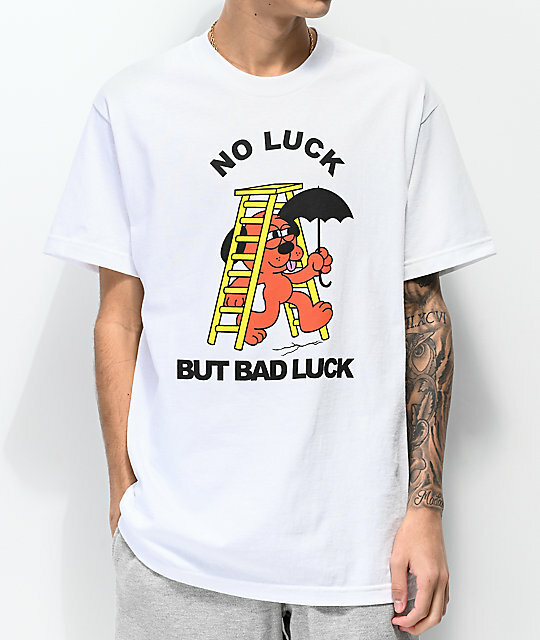 No Luck Bad Trip White T-Shirt from A-Lab.